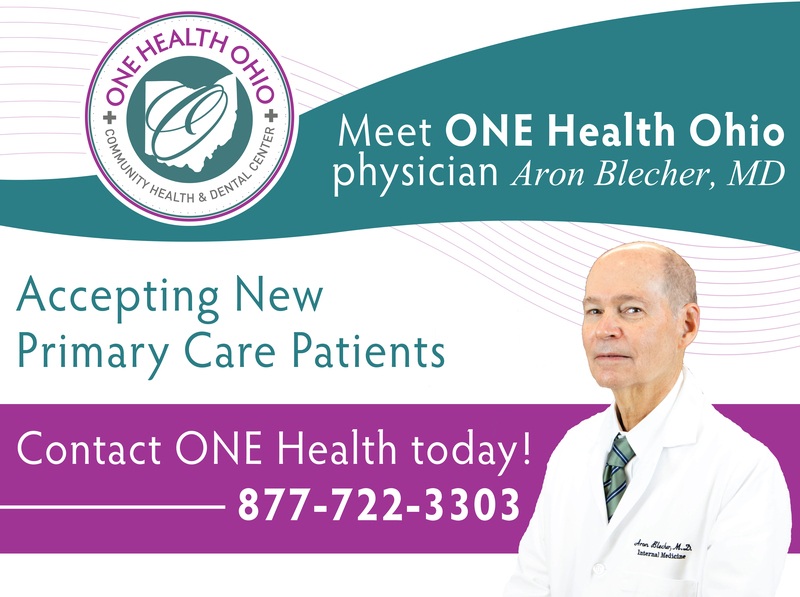 ONE Health Ohio, a Patient-Centered Medical Home Recognized healthcare organization is pleased to welcome Aron Blecher, MD to its team of dedicated healthcare professionals. Dr. Aron Blecher attended the University of Cincinnati for his undergraduate degree. He then went on to the University of Autonomous of Guadalajara, Mexico for Medical school. Dr. Blecher became an Intern, Resident and eventually a Chief Resident at St. Elizabeth Hospital of Youngstown. Dr. Blecher has provided medical services at several local healthcare systems as well as operated his own private practice. Dr. Blecher will be providing services at the Youngstown Community Health Center located at 726 Wick Ave. Youngstown, Ohio 44505 as well as the Lloyd McCoy Health Center located at 1977 Niles Road SE Warren, Ohio 44484. Dr. Blecher is accepting new patients. To schedule an appointment, please contact ONE Health Ohio at 877-722-3303. ONE Health Ohio is a Patient-Centered Medical Home Recognized health center that provides integrated services, such as medical, dental and behavioral health. ONE Health operates seven health centers located in Youngstown, Warren, Newton Falls, Cortland and Alliance, as well as Medication-Assisted Treatment and counseling services through RISE Recovery in Youngstown. The mission of ONE Health Ohio is “To improve the health and well-being of people in our communities by providing quality healthcare, particularly to the uninsured and underinsured.” In this regard, ONE Health strives to provide quality, comprehensive primary medical, dental and behavioral health services, reduce healthcare access barriers and improve the overall health of the communities we serve. www.onehealthohio.org.